I was really busy at the weekend. And I mean seriously busy. 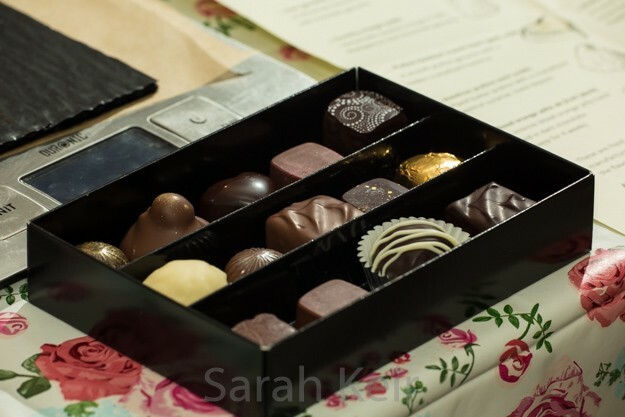 It was my chocolate immersion weekend! 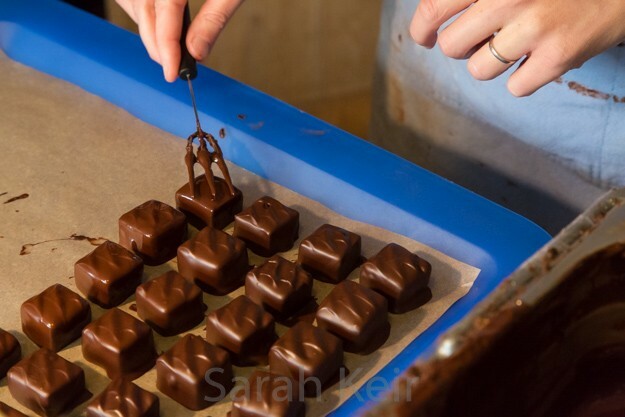 I decided that as part of my teaching myself the art of chocolatier, immersing myself in the chocolate making process from start to end would be a great way to learn. 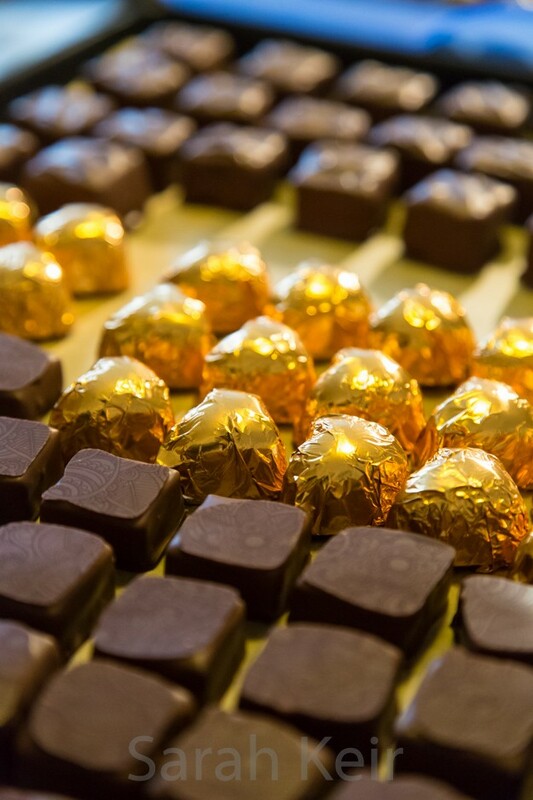 Eight kilograms of chocolate and 25 hours later, I feel I am happy to temper dark, milk and white chocolate, make molded chocolates, hand dipped and rolled truffles and improvise chocolate recipes to get my flavours nailed. 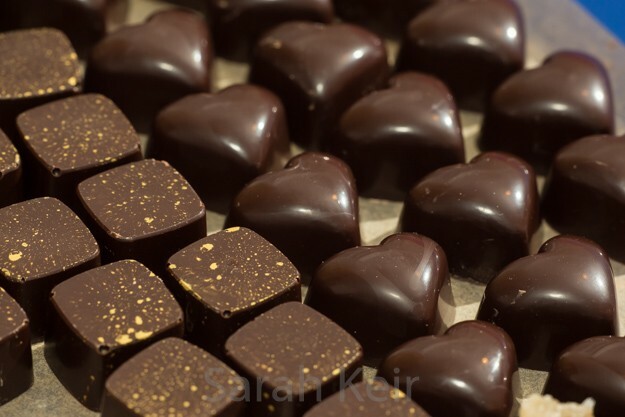 And I definitely learned too; I need to charge more, I need to estimate weights for boxes of chocolates better and I need to reduce wastage especially on molded chocolates. But the seconds are not going to waste – I am sick of eating them over the past few days so I am going to take the remainder to work tomorrow for our Christmas Eve lunch party. And for all those who didn’t get any this year – get your orders in early next time! Happy Christmas one and all, and may it be a chocolately one! Hand dipped pate de fruit with hand decorated tops. 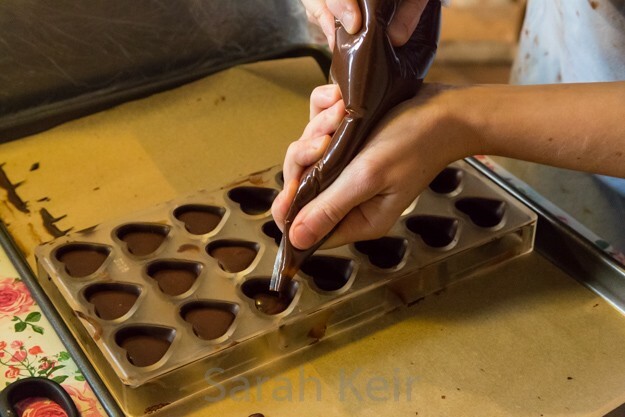 Filling molded chocolates – with a gingerbread ganache in this one. 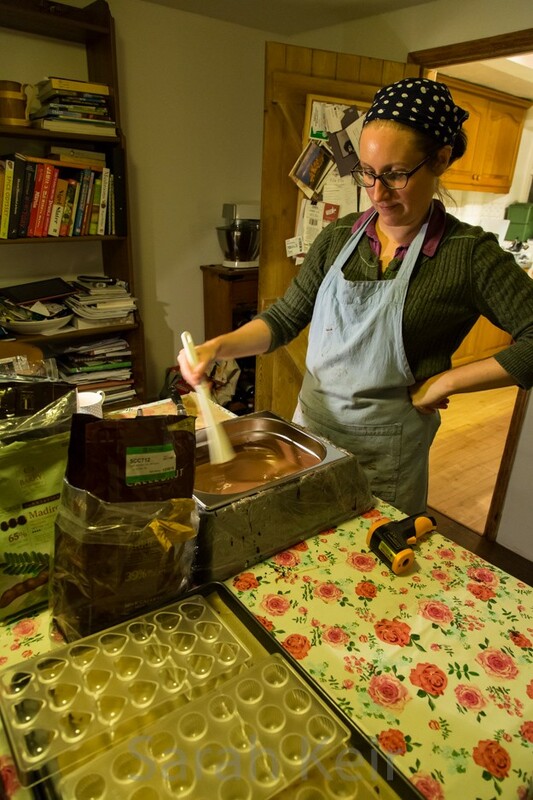 Intense look of concentration as I temper the milk chocolate. 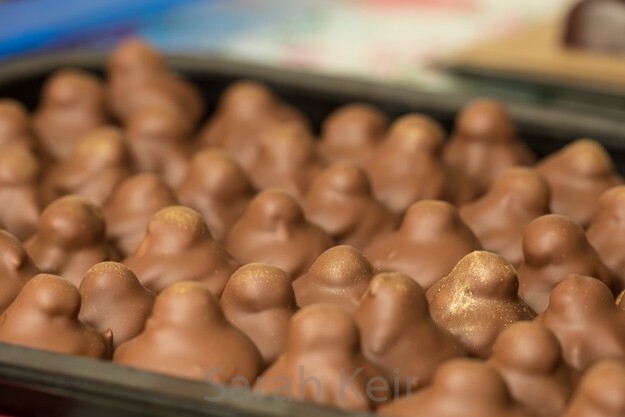 Hazelnut praline whips with crystallised hazelnuts, waiting to be dipped. 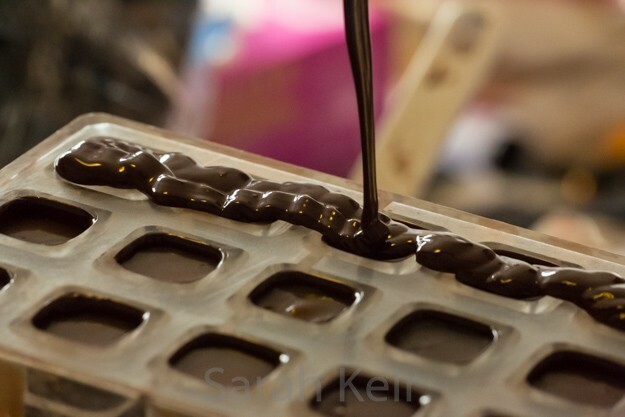 Molded chocolates waiting to be capped. 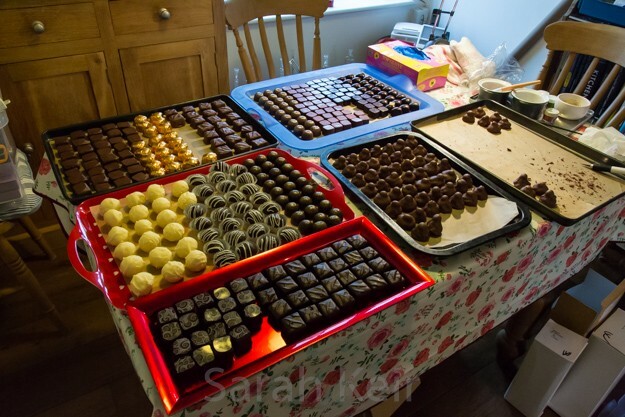 All the chocolates laid out, nearly ready for boxing up! 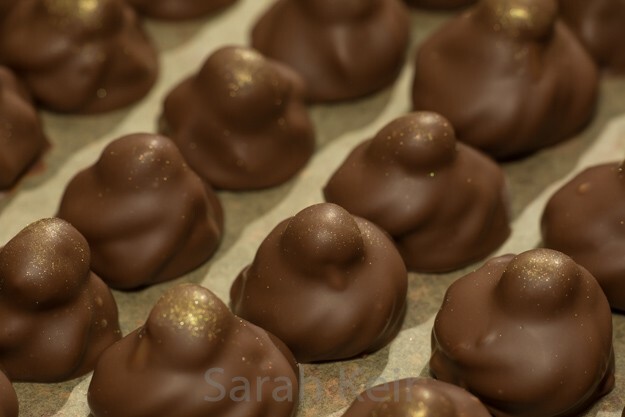 Hazelnut praline whips finished with a dusting of gold. 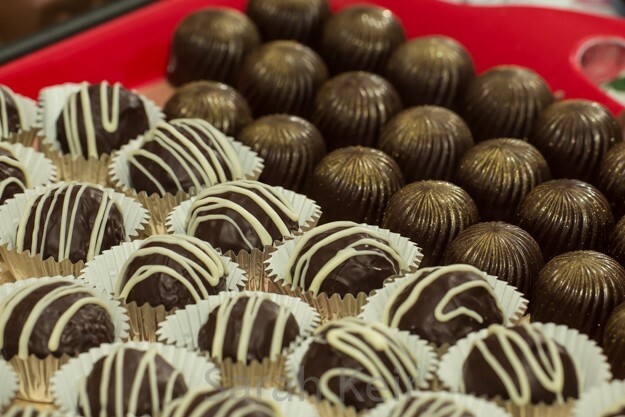 Black forest hand rolled truffles in the fore ground and port ganache swirls behind. 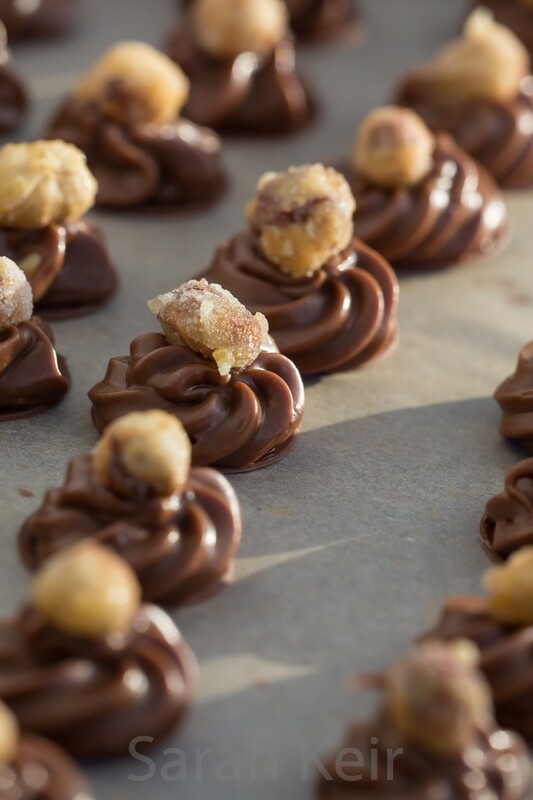 Close up of the hazelnut praline whips. 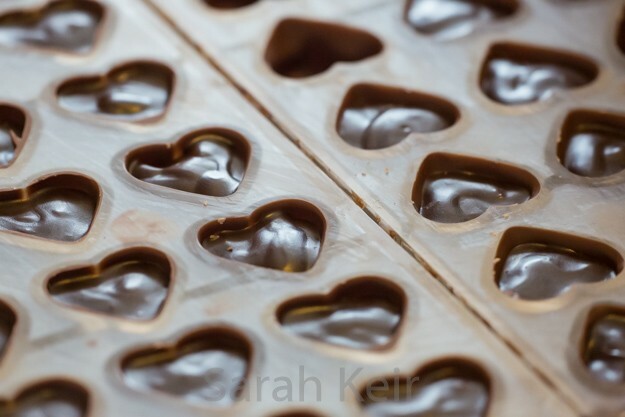 Caramel squares in dark and gingerbread ganache hearts. 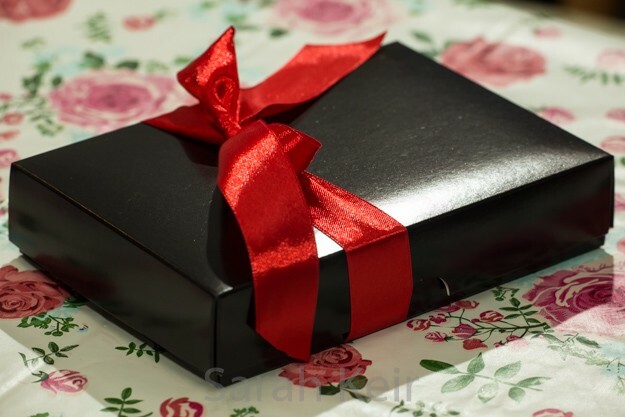 A box ready to be dispatched.